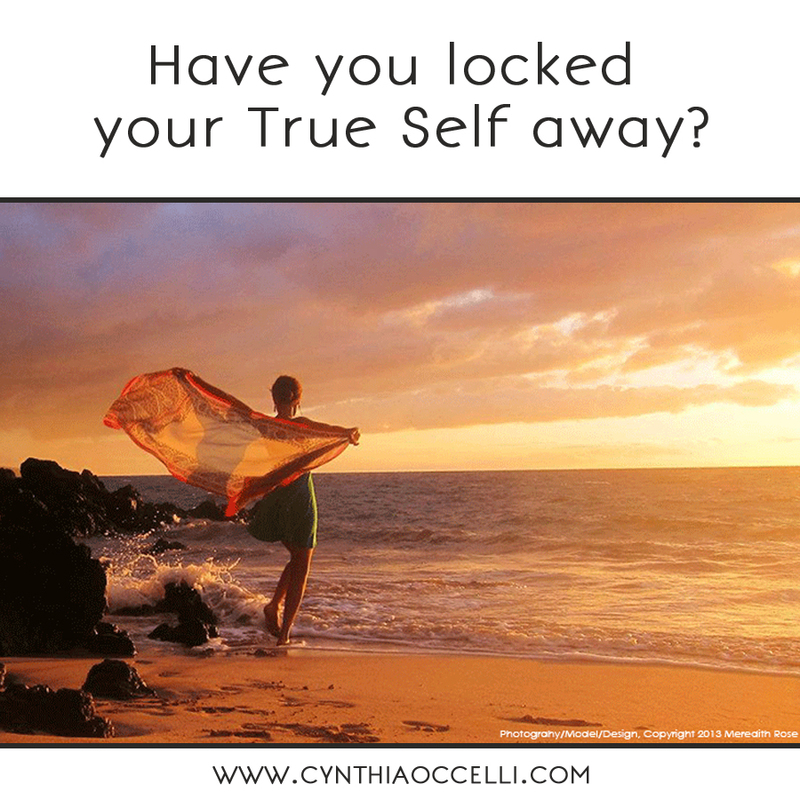 Have you locked your true self away? Take 10 minutes for yourself. Get still inside and turn down the voices of everyone outside of you and ask yourself some questions, WITHOUT FEAR AND WITHOUT JUDGMENT. Ask yourself where you are in your life now? Are you living your greatest expression? If your life ended today would you be satisfied and fulfilled? What do you ache for? What’s missing? If you don’t think anything is missing, stay open and curious. We are ever-changing, and evolving beings and I don’t believe I’ve ever met a woman who’s escaped the pressure to conform to someone else’s ways of being—sometimes it’s hard to see the picture when we’re in the frame. Just let it be possible. It will show itself. When it does, your resistance will emerge too. Guilt, false feelings of gluttony, ingratitude, selfishness, or unworthiness may surface. Breathe them out. Somewhere in time, you existed free of the imprints and shoulds of others. You knew that having what you wanted to be felt good and made your life better. There were no issues of worthiness, deserving, or doubt. There was just peace, contentment, and satisfaction. You were likely a child. Babies are born knowing to seek their own joy, comfort, love, and happiness. They do not question whether they deserve it, they just know that they do. How often have you rationalized that you can’t or shouldn’t have, or do things that you want to do? How long have you lived your life being “good” and earning the right to spend a few hours or days experiencing pleasure, doing what you love, or living on your terms? I challenge you to flip the ratios. To no longer wish, want, yearn or feel that you must earn the right to take actions that increase satisfaction and joy in your life. I challenge you to get connected to your innermost desires and to take daily action toward making them the focus of your life. Make this your time. You deserve the abundant, free, joyful, and beautiful life you’ve been waiting for. If you’d like my personal guidance and the company of a community of women on the same path, I’ve developed a series of courses, meditations, and group coaching sessions to help you. The Beautiful Life School is a very special online program dedicated to uplifting, supporting, and empowering women, like you. This exceptional program opens only a few times a year. Sign up here, and you’ll receive advance notice and a lifetime discount on our upcoming enrollment.